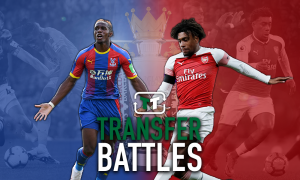 Rebuild almost complete: Emery must now ensure he has £40.5m-rated machine this season | The Transfer Tavern | News, breakdown and analysis on all things football! Arsenal fans will be delighted to see so many new faces arriving at the Emirates this summer. After replacing Arsene Wenger in the dugout, Unai Emery has been extremely busy in the transfer market. Tasked with putting Arsenal back into title contention, the Spaniard has spent £70m on five new signings. The PSG boss suggested their business was over unless a ‘big opportunity’ presented itself. Despite signing Lucas Torreira, Emery is still in the market for a new midfielder and has been heavily linked with a move for Sevilla’s Steven N’Zonzi. 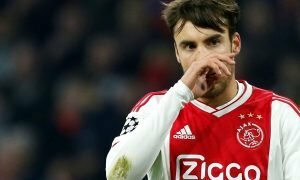 The Gunners are also reportedly interested in Barcelona midfielder – Andre Gomes. The Portugal international was left out of Barca’s USA tour to resolve his future. Instead of signing Gomes, Arsenal have a much bigger issue to resolve. Key midfielder, Aaron Ramsey, is still yet to sign a new deal with his current contract expiring next summer. Valued at £40.5m by Transfermarkt, Arsenal can’t allow the Welshman to follow Jack Wilshere through the exit door. The 27-year-old was a shining light in a poor season under Wenger, he scored seven and assisted eight in just 21 Premier League starts. On the other hand, Gomes started just six games in La Liga, failing to score and register an assist. Even during his best season with Valencia back in 2015, the Portuguese only managed four goals in 33 appearances. A fresh start in England could be just what Gomes needs to rediscover his best form, but Arsenal can’t afford to take a risk. Instead, they should focus all their efforts on securing Ramsey’s future and hand him the captain’s armband. Replacing Ramsey with Gomes would be a huge step backwards.